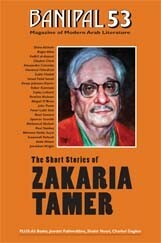 It includes more than a dozen stories by Tamer, most in deft translation by Jonathan Wright, Ibrahim Muhawi, Roger Allen, and others; an extensive Q&A session between Tamer and Dima Alchukr; several interesting critical essays on aspects of Tamer’s work; a short biography; and a section focused solely on Tamer’s stories for children, edited and translated by Clayton Clark. The material could have been organized differently, and the essays could’ve been organized to better elucidate different themes and aspects of Tamer’s writing: exploring gender in his work; examining the stories’ structural relationship to fables; or tracing his influence on the Arabic short story. Indeed, young Jordanian short-story writer Hisham Bustani recently singled out Tamer as one of those to have introduced “new sensitivities” to Arabic writing. But, as a whole, Banipal 53 gives a strong overview of the range of Tamer’s work and his place in Arabic short-story writing while bringing many short stories into new translation. Indeed, it demonstrates the need for more big works that celebrate, criticize, comparativize, and otherwise nose around Tamer’s stories. As we hear at several points in the 53, Tamer was born in Damascus in 1931 and left formal schooling in 1944, at the age of thirteen, to work as a blacksmith. 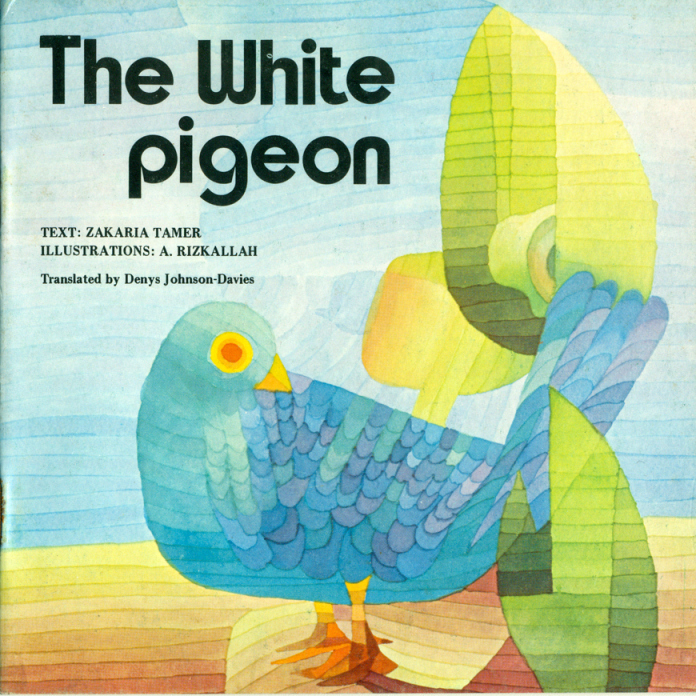 “In the mid-1950s…it was neither familiar, nor indeed commonly accepted, for Arabic literature to witness a short story which did not tell a tale, seize a moment, depict an entity, dramatize an experience, develop an anecdote, convey a political message, or any such [thing].” At a time when poetry was moving toward prose, Tamer’s stories were also moving toward poetry — and yet retained an essential identity as story. Yet behind and around these fairy-tale-like archetypes, Tamer’s usually dark stories take surprising turns. In the story “A Cold Night,” from the collection Sour Grapes (2000), an undistinguished married couple, Abdullah and Bahira, hear what sounds like their neighbor, Wafiqa, shouting for help. Bahira suggests her husband should go help Wafiqa, but he says first that someone else will likely help her, and later that her voice has, after all, stopped crying out. “Maybe the strange man has stopped her shouting and now he’s ripping her clothes off,” said Bahira. Bahira began to describe what was happening but her voice started to shake until gradually she couldn’t say anything that made sense. Meanwhile, the wind howled outside the room down dark deserted lanes. Now, Tamer said, “I am proud that I write the short story, which I consider to be the most difficult form of literary expression[. ]” Indeed, many of Tamer’s stories excel at the dense word-love of poetry as well as the puzzle-like aspect of short stories, making for a difficult literary genre indeed. Tamer began writing in a fertile period: It was also when Syrian poet Mohammad al-Maghut was helping pioneer a new poetic movement that was closer to prose. The two later worked together, as Tamer notes, taking turns writing a column for Teshreen. Two weeks later I contacted Salma, who had just returned from Beirut, and asked her about my stories. I was really surprised when she told me that had she stayed one more day in Beirut she would have brought me a copy of my published book. But in Tamer’s children’s stories, by contrast, he allows himself happy endings. Clayton Clark writes, in the 53‘s introduction to the section of children’s works, that, “It is intriguing to me that a man who wrote so clinically about the brutality of humankind would spend so much creative energy directed toward children[. ]” In his interview with Alchukr, Tamer doesn’t address why he wrote for children, although he surely must have enjoyed it. As the 53 biography notes, Tamer has three collections in English: Tigers on the Tenth Day, edited and translated by Denys Johnson-Davies, Breaking Knees, translated by Ibrahim Muhawi, and The Hedgehog, edited and translated by Brian O’Rourke. And, although Tamer could certainly now rest on his laurels, he continues to write. His latest work (in Arabic) is a new collection of essays titled The Land of Misery, and he has also been publishing short stories on his Facebook page, Al-Mihmaz, a number of which have appeared in translation.